The 2019 open reading deadline has been extended through April 15th. The Conium Review acquires first serial printing rights. All rights revert to the author upon publication. If your story is accepted for publication, you will receive a complimentary contributor copy of the issue. We publish innovative writing. Send us stories that take risks. Experiment with character, structure, or theme. Get weird with it. The Conium Review‘s print edition holds an open reading period between January 1st and April 1st (UPDATE: extended through April 15th!). If you missed the open reading period, you can still submit year-round using the “Tip Jar” category. 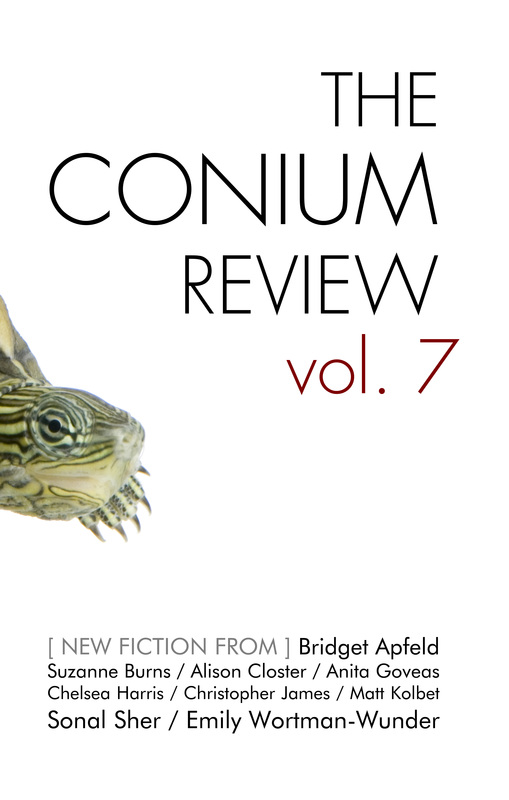 “Tip Jar” submissions include a $3.00 donation to The Conium Review. We only consider fiction; no poems or nonfiction, please. You may submit up to three flash fiction pieces, two short stories, or one novella. We define flash fiction as below 1,000 words and novellas as over 15,000 words. Do not send additional work until you get our response to the original submission. Upload your fiction submission as a single file. In the “Biography Statement” field, please include a brief third-person bio. If your work is accepted for publication, your bio appears inside the published issue of The Conium Review along with your story. Submissions must be unpublished, original work. Simultaneous submissions are allowed, but you must withdraw your submission immediately if it is accepted elsewhere.